A Spanish Lonsdale is a perfect smoke for golf and just relaxing with friends. I would highly recommend this for anyone who loves a good smoke. Light, smooth smoke with good flavor. This is a wonderful inexpensive smoke! I enjoy the complex flavor and the 42 band makes for a good draw. Great afternoon or hot tub smoke. Best Cigar is a Great Company! Good draw, good flavor, sizing is good especially if your time is shorter than you would like to sit and enjoy. 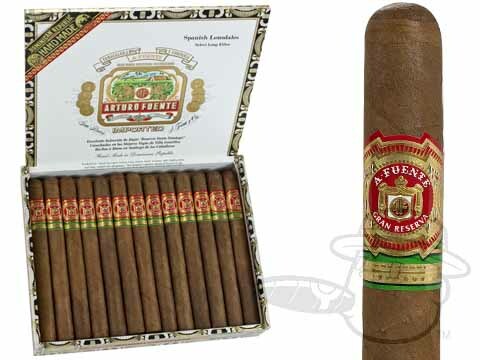 Arturo Fuente Spanish Lonsdale Natural is rated 4.8 out of 5 based on 5 customer ratings.